Are you thinking about crowdfunding as a means to raise some resources for your organisation? The Energy Action Fund is provided by the energy supplier E-ON as part of its commitment to helping communities across the UK better manage their energy consumption. The funding is intended to support a range of energy related improvements and activities, from appliances and insulation to educational events. Priority will be given to projects focused on encouraging the use of renewable energy and reducing other forms of energy use. Grants between £50 and £2,000 are available. The level of funding will be determined by the size of the project and the impact it will have on the wider community. Registered charities and recognised not-for-profit organisations operating in England, Scotland and Wales may apply. This includes community amateur sports clubs (CASCS) and schools. o Provide a realistic project budget together with evidence showing that the project can be completed within the budget. Joint applications with Local Authorities will also be considered, although a charity or not-for-profit organisation must be leading the project. o Be sustainable beyond support from the E-ON Energy Action Fund. o Sustainable energy education workshops. The deadline for applications is Friday 8 April 2016. Projects must be completed by December 2016. Guidelines and an online application form can be found on the E-ON website. Next deadline is the 29th Aril 2016. The Scottish Power Energy People Trust has announced that its grants programme is open for applications. Carry out benefits advice to households missing out on financial help that they are entitled to through welfare benefits and tax credits and provide assistance to reduce or cancel debts for household electricity or gas supply. Applications are particularly welcome from charities who work with children, young people and families. Telford & The Wrekin CAB which received a grant of £49,887 to employ a part time energy efficiency/income maximisation adviser. The adviser would provide one-to-one advice and support for individuals and families referred by any of the agencies within the network. The deadline for applications is the 17th May 2016. The Football Foundation has announced that its "Grow the Game" grant scheme re-opened for applications on the 1st February 2016 and will close on the 10th March 2016. Applications are welcome from not for profit organisations that are planning to set up two new football teams over the next two years. To be eligible for funding organisations must have a signed constitution (with a dissolution clause), child protection policy, equal opportunities policy, bank statement and income/expenditure records. The Radcliffe Trust has announced that the next deadline for applications to its Music masking grants programme is the 31st August 2016. Through its music grant making programme, the Radcliffe Trust supports classical music performance and training especially chamber music, composition and music education. Particular interests within music education are music for children and adults with special needs, youth orchestras and projects at secondary and higher levels, including academic research. Applicants must be a registered charity or an exempt charity. The Birmingham Children's Hospital which received £2,500 for a ‘Singing medicine'. The Austin and Hope Pilkington Trust which awards grants to registered charities in the United Kingdom has announced that the next closing date for applications is the 1st November 2016. Grants are usually between £1,000 and £3,000 and are awarded for one year. 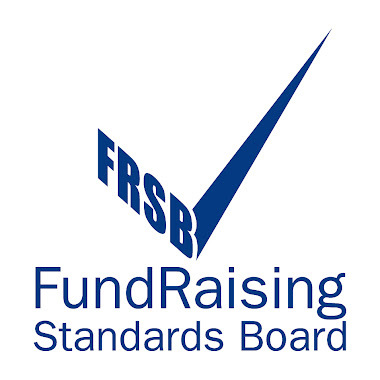 The Trust only award grants to organisations registered with the Charity Commission (England, Wales and Northern Ireland) or OSCR, or exempt from registration. A grant of £3,000 towards 'Street Circus' programme. A grant of £3,000 towards a telephone befriending service. The Transform Foundation has launched a new funding programme to help charities to develop an effective web presence. In collaboration with Raising IT, the largest UK provider of charity websites, the £18,000 funding package will help to equip charities with: the technology to transform their organisation; a digital engagement focused strategy to futureproof the charity; a professionally designed website to inspire supporters; and measurement built in to help the charity track results and maximise impact. The first step is to submit an online application. Charities will hear back in one week whether they've been selected for stage 2. The next application deadline for the UK-German Connection Youth Challenge Fund is the 31st May 2016. The Youth Challenge Fund provides grants of up to £2,500 for joint thematic activities between UK and German youth groups, including a visit to Germany. The funding aims to enhance young people's international experience and intercultural awareness by supporting UK-German youth partnerships undertaking a bilateral collaborative project. Applicants must contribute at least 25% of the overall eligible activity costs through participants' contributions and other sources of funding. The Baily Thomas Charitable Fund is a registered charity which was established to provide both research and project funding in the area of learning disability and to aid the care and relief of those affected by learning disability. Applications will only be considered from voluntary organisations which are registered charities or are associated with a registered charity. Schools and Parent Teacher Associations and Industrial & Provident Societies can also apply. Funding in the past has ranged in value from £250 to £150,000. The next deadline for research funding is the 1st July 2016. The deadline for project funding in excess of £10,000 is the 1st March 2016. Application for project funding for £10,000 or less can be submitted at any time. The Veolia Environmental Trust has suspended its application process until April 2016 and will not accept any more initial enquiry forms until the new process is in place. The Trust is implementing a new process that will streamline applications. To do this it has closed for a period of time. Groups that have already submitted an initial enquiry and received a reference number will still be able to submit their full application form which is due by 26 February 2016. The Trust anticipates the new application process will be introduced in April 2016. The Trust offers funding to not-for-profit organisations based within five miles of a Veolia site in England and Wales. The New Beginnings Fund will support local groups in Scotland, Wales, Northern Ireland, Kent, London, Lancashire, Merseyside, Birmingham and parts of the West Midlands that are working to welcome refugees and asylum seekers. A consortium of Funders has set up the £525,000 New Beginnings Fund in support of refugees and asylums seekers coming to the UK. The funding will support local groups working to welcome refugees and asylum seekers into their local communities, through existing or new services. The fund is particularly interested in groups who are working to get their local communities involved in volunteering and supporting their work to promote integration and welcome new arrivals. The fund is being administrated by community foundations in seven areas across the UK that have high levels of refugees and asylum seekers: Scotland, Wales, Northern Ireland, Kent, London, Lancashire, Merseyside, Birmingham and parts of the West Midlands. There is a total fund of £525,000 for the UK. Grants of up to £10,000 are available for individual groups. 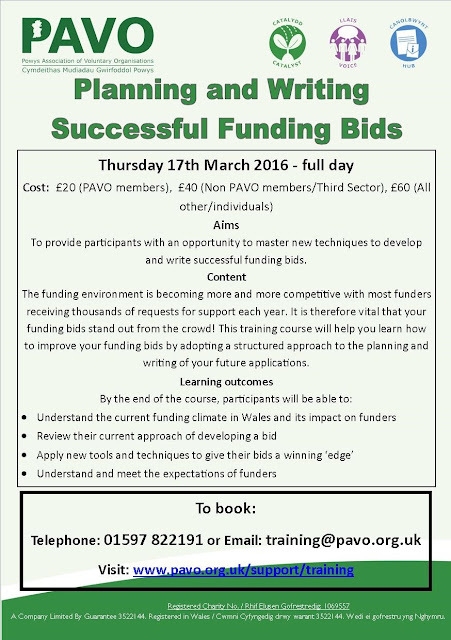 In exceptional cases, grants of up to £20,000 will be considered for bids including multiple local partners. Frontline groups working to support refugees and asylum seekers in the UK can apply. Not for profit registered Community Interest Companies. Constituted community and voluntary sector organisations (with at least three unrelated committee members) with a registered bank account. Non-constituted groups or collectives may apply if they work in partnership with an eligible organisation. The eligible organisation must be an active partner in the delivery of the work and take responsibility for the management of the grant. Priority will be given to local groups, with turnovers of less than £250,000. Groups must be able to evidence an increase in demand for services and explain how they plan to respond using this funding. Larger organisations with turnovers of up to £1 million are not excluded from applying for funding; however, priority will be given to smaller locally based organisations. Faith groups may apply as long as their activities do not evangelise or proselytise religious beliefs. The Fund will support local groups working to welcome refugees and asylum seekers into their local communities, through existing or new services. Improve the community working together. Strengthen organisations through capacity building. Promote human rights and equality. Proposals from groups that are led by local refugees and asylum seekers. Projects offering guidance, counselling and community integration. Welcoming activities with existing local communities. Groups supporting volunteering and community activities. The fund will accept applications over a six week period. The deadline for applications submitted to the Heart of England Community Foundation is 24 March 2016. The deadline for the other community foundations is 29 March 2016. UK registered charities are eligible to apply for a grant. Schools with charitable status are also invited to apply. The Trust provides a range of grants from £250 up to a very exceptional amount of £500,000. Most grants, however, tend to be between £1,000 and £50,000 with a few grants of £100,000 and£200,000. Grants totalling £4.1 million were made during the financial year ending 31 January 2015 (an increase of £600,000 on the previous year), bringing aggregate grants awarded by the Trust to £20.9 million. The Trust does not maintain a website or a formal application form. Further information about the Trust is, however, available on theCharity Commission website. The annual accounts provide a full list of charities funded. Grants of between £500 and £1,500 are available to help community groups in the UK to run summer play schemes for the benefit of disadvantaged children aged five to 18 years. Play schemes should be local schemes lasting for two to six weeks with strong volunteer support. Some priority will be given to projects which show they are inclusive of children from refugee families, and show BME involvement. Trustees need to be involved in fundraising, Lynda Thomas tells Fundraising Live: Trustees should be involved in raising money for their charities so they can see how difficult it is, the chief executive of Macmillan told the Fundraising Live conference today. The Rhododendron Trust supports social welfare and humanitarian aid projects in the UK and in the developing world. It also funds some cultural and wildlife projects. Charities registered in the UK are eligible to apply for awards between £500 and £1,000. The Trust usually allocates around£50,000 annually and gives preference to smaller charitiesover larger ones. Trustees like being invited to Open Days of charities supported, and try to attend. Applications can be made at any time and will be considered by Trustees just once a year (usually in February or March). o UK charities – The Trust wishes to support those disadvantaged by disability or mental illness (such as those suffering from epilepsy or autism). It also regularly support charities which work with prisoners and ex-offenders, or those addicted to drugs, and the homeless. It funds charities that support carers and which help the elderly or disadvantaged children. o Arts and Nature - The Trust tends to work through large organisations such as the National Churches Trust and Fauna and Flora International. However, the Trust is open to proposals for small theatre and music projects, and to proposals for the protection of cultural and natural heritage. It is interested in projects which help sustain the environment. o Developing world charities - The Trust prefers to support charities which benefit people affected by more than just poverty, for example people disadvantaged by disability, age, gender or ethnic status, or by the poor medical, welfare or educational infrastructure in their country. Thus Charities which provide medical aid in countries with very few doctors (such as Merlin orHealth Poverty Action) or which benefit street children or prevent child labour or child soldiers (such as ChildHope and Children in Crisis), or which provide education (such as Book Aid ), or legal protection (such as Goodweave and Womankind Worldwide). o Local branches of National societies. o Medical or academic research. o Individuals, for example, gap-year projects with another charity. o Charities which help those suffering from cancer or from unusual physical illnesses. There is no formal application form. Applicants should send a request letter to the Trust. The request letter should not go into much detail about the need which is being met, but give details about how it will be met by a donation from the Rhododendron Trust. Details of current projects, management of projects, and accounts should accompany the proposal and magazines and other material will be looked at. The applicant will be informed by email within about a month if it has been unsuccessful. PLEASE NOTE: if the applicant does not hear from the Trust then the request has been added to the long list for possible grants. This list will be considered by Trustees in February or March. Arwain, the LEADER programme in Powys is designed to get local people, businesses and communities involved in delivering sustainable, innovative solutions to address some of the economic, social and environmental challenges facing Powys. The Expression of Interest form and arwain guidance notes are now available and can be accessed by clicking the buttons at the bottom of this email or by visiting www.arwain.wales/en/how-to-apply. Please note that this is a new Expression of Interest form and this is the first stage of a two stage application process. This new Expression of Interest form replaces, and should not be confused with, the form in circulation during 2015 which was part of a fact finding exercise. ALL interested applicants will need to complete the NEW Expression of Interest form and return it to rdp@powys.gov.uk if they wish to apply for funding. - Replacement of worn-out equipment and kits. - A bank of new kits and equipment to support the launch of a new sports project. - New kit and equipment which will expand capacity to meet demand for activities. - Kit and equipment which will promote the inclusion of the disadvantaged or minorities within sports. Priority will be given to projects that are creative, far-reaching and will leave a long-term impact once completed. The Trust will especially welcome applications for projects that are focused on improving life for disadvantaged groups and encouraging their inclusion within sporting activities. Community groups and charities in England, Scotland and Wales are eligible to apply for this round of funding. The deadline for applications is 19 February 2016 (5pm). The Paul Hamlyn Foundation is one of the UK’s largest independent charitable trusts. It offers a range of grant opportunities, particularly for the Arts. During the financial year ending 31 March 2015 the Foundation allocated grants totalling just under £20 million. o ‘Explore and Test’ grants of up to £60,000 for up to two years. Funding is designed to help explore and test both new approaches and ways of addressing new issues. Up to 20% of the grant may be allocated as a contribution to organisational running costs. o ‘More and Better’ grants of up to £400,000 for up to four years. Funding is intended to help arts organisations - or the sector more broadly - to deliver more effective arts-based learning. Charities, community organisations, social enterprises and not-for-profit companies active in the arts are eligible to apply. PLEASE NOTE: applicants must be working in partnership with schools or other formal education settings. o Take place on or off school premises and in or out of school hours. o Involve any of the following: crafts, creative writing (including poetry), dance, design, film, music, opera, photography, digital arts and media, theatre and drama, the visual arts, and cross-arts practices. o Supports students’ life skills and readiness to learn. o Work designed to achieve significant benefit for children and young people experiencing disadvantage, while adopting an inclusive/whole school approach. o Work for the benefit of primary-age children. For further information, visit the Paul Hamlyn Foundation website. Sayer Vincent have produced a free guide to reading charity accounts. Support, comprising a package of an interest free loan, a mentor and expert consultancy, for aspiring social enterprises in Wales that have a social impact addressing a local social or environmental need. SE-Assist is administered by the Wales Co-operative Centre, which is mainly funded by the European Regional Development Fund and the Welsh Government, with additional funding from Comic Relief and the Nationwide Foundation. The programme’s delivery partners comprise the Charities Aid Foundation, Business in the Community, Legal & General, the Welsh Government and the Institute of Directors (IoD). SE-Assist enables aspiring social enterprises in Wales to access repayable finance and additional assistance from corporate bodies. Social investment decisions will be made by the SE-Assist Wales Social Investment Committee (SIC) that will decide who to award the package of support. Support, comprising a package of an interest free loan, a mentor and expert consultancy, is available applicants that have a social impact addressing a local social or environmental need. Access to a bank of experts. Match funding is not a stipulated requirement of this programme. reinvests profits to further its social mission, and/or which, in a ‘wind-up’ situation, remaining assets would be passed on to another non-profit social enterprise that has a charitable purpose. companies limited by shares, in certain circumstances. Applicants should have a turnover less than £500,000 pa (over the last three years) for the organisation, or specific initiative, for which they are applying. SE-Assist uses charitable funds to invest in social enterprises. Due to this, all applicants will have to subject to CAF’s charitable validation process. outline how the loan will be used and repaid. The loans are interest free and there are no fees for taking on an SE-Assist loan. Loans should be paid back within two to three years, usually in monthly instalments. As the loan uses charitable money the loan has to be used for a social purpose only. Applicants should have a turnover less than £500,000 pa (over the last three years). The deadline for receipt of applications is 12pm on 29 March 2016. Further advice and assistance with submitting an application may be sought directly from the sponsor. Since 2009, Armed Forces Day has been marked annually with events large and small throughout the UK. In support of this event, the Ministry of Defence (MoD) is providing funding to help organisations and individuals in the UK host an Armed Forces Day event this summer. Last year, events took place in all parts of England, Scotland, Wales and Northern Ireland. They included Armed Forces Day tea parties, parades, big band concerts, civil war military re-enactments and live and static demonstrations. Local councils, organisations, schools, ex-service organisations and individuals in the UK are eligible to apply for funding of a maximum £10,000 (providing the MoD accounts for no more that 50% of the project costs). The event should be held on or in the weeks around National Armed Forces Day which will be celebrated on Saturday 25 June 2016 when a major national event will be held in Cleethorpes, North East Lincolnshire and local events will be held across the UK. LEADER focuses on delivering a bottom-up method for encouraging and promoting rural development. Support is primarily aimed at small-scale pilot projects that are innovative in nature and can be from community groups, social enterprises, businesses and individuals. Projects will need to be community led, respond to community need and be able to sustain themselves long term, after funding intervention has ceased. Expressions of Interest are being invited now for projects within Powys which will promote social inclusion, reduce poverty and develop and sustain our rural village communities. There is currently no deadline for Expressions of Interest (EOI) and they will be accepted on a rolling basis. If your EOI is successful and you are invited to submit a full application, decisions are made by the One Powys Local Action Group which meets quarterly. The next meeting is scheduled for April and any full applications that have been invited and wishing to be considered at this meeting will need to be returned by 31st March 2016. There will be four opportunities for submission of full applications per year and you will be advised of the timescales for these by the project staff when you are invited to submit your full application. Although the LEADER programme is not a grant fund, the Welsh Government has launched a Rural Community Development Fund which groups/enterprises and organisations may apply for. The Rural Community Development Fund (RCDF) is a grant scheme funded under the Welsh Government Rural Communities – Rural Development Programme 2014-2020. Under RCDF the Welsh Government will offer grants for a wide range of interventions designed to prevent and mitigate the impact of poverty in rural communities improving conditions which can lead to future jobs and growth. 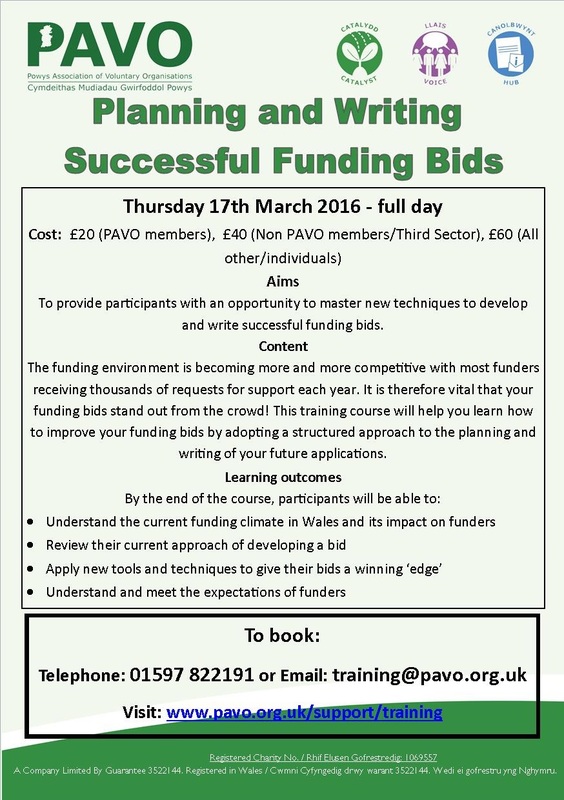 Further information, guidance and application forms can be found on the Welsh Government Website. (Please be advised that the current window for EOIs has now closed, further opportunities to express an interest will be published on the website). Healthy Heart Grants support innovative projects designed to promote heart health and to prevent or reduce the risks of heart disease in specific groups or communities across the UK. Grants of up to £5,000 and grants of up to £10,000 are available to support new, original and innovative projects designed to promote heart health and to prevent or reduce the risks of heart disease in specific groups or communities. Grants are available for heart health projects only, and not for general healthy lifestyle projects. Projects must focus on, and actively promote, heart health for the duration of the project. Community and voluntary organisations, registered charities and other not-for-profit organisations in the UK are eligible to apply. In exceptional circumstances, where a project has a very strong heart element applications will be considered from researchers. The deadline for applications is 30 March 2016 (midnight). o Work experience/skills projects for young people aged 16 to 30 years. o Youth work in London, particularly evening work for disadvantaged young people aged 16 to 30 years. There is no minimum or maximum grant level and projects can be funded for more than one year. However, the Foundation will require applicants to demonstrate that they can manage the amount they have applied for and how they intend to sustain the project after the grant has been spent. During the financial year ending 31 March 2015 the Foundation awarded grants totalling £471,500. Awards in previous years have ranged from over £200,000 (the Royal Opera House Foundationbeing the main beneficiary) to under £1,000. o The Royal Aero Club Trust (£10,000). The Foundation prefers to build a relationship with supported organisations and foster a collaborative partnership where appropriate. Organisations that cannot be helped financially can be benefited in other ways through mentoring, business planning and networking. o Organisations that have an outstanding End of Grant Report relating to previous funding from the Foundation. o Charities in Scotland and Northern Ireland. o Community Interest Companies (CIC’s). Completed application forms should be returned by email to the Foundation with an A4 covering letter. CDs, DVDs, leaflets, newsletters and accounts should not be included as part of the application. For further information and to access the grant application form, visit the Peter Cruddas Foundation website. Grants are available to not-for-profit organisations and schools in Great Britain for projects which make a difference to local areas, with preference given to projects that involve or benefit people who are disadvantaged. Funding is available for project ideas to improve local areas in order that they can improve people's lives. The programme aims to deliver demonstrable improvements to the environment, and will also fund educational projects to help people learn about their impact on the world around them. Not-for-profit organisations with a turnover of £300,000 or less and schools in England, Scotland and Wales can apply. Priority will be given to organisations that are based near a Greggs shop. People with disabilities or suffering chronic illness. People living in a disadvantaged area. People living in an area with poor access to the environment. Round 1 will be accepted from 1 January until 4 March with decisions at the end of April 2016. Round 2 will be accepted from 5 March until 1 July with decisions at the end of August 2016. Round 3 will be accepted from 2 July until 30 September with decisions at the end of November 2016.